Urban Leaves invites registrations for A Morning On The Farm. Discover an Urban Farm at Don Bosco Provincial House. Get cosy with soil and creatures of the farm. Green a planter out of waste to help Mother Earth. Taste her bounty at Seva Café and most importantly, take home seeds and ideas to start your very own kitchen garden. The workshop is designed for the age group of 7-12 years. Children below 9 years need to be accompanied by an adult. If your children are younger/older and do not fall in this age group, please do not be disheartened. Workshops for children in other age groups are also being planned. If you are an interested parent of a younger/older child, please fill your details in "INTERESTED IN FUTURE CHILDREN'S WORKSHOP" form given below and we will get back to you with our plans for future workshops. "INTERESTED IN FUTURE CHILDREN'S WORKSHOP"
Rs 300/- each for adults (Rs. 250 for donors) in case the child is being accompanied by an adult. Due to space constraints, just one adult per child preferred. You are welcome to contribute more if you can. Your contributions will go towards extending the city-farming experience to children who cannot afford it or supporting our community farms. Do indicate your preference when you contribute. Children to come in rough and tough clothes, a cap too is advisable for the sun. They need to carry drinking water, a snack and a hand towel. 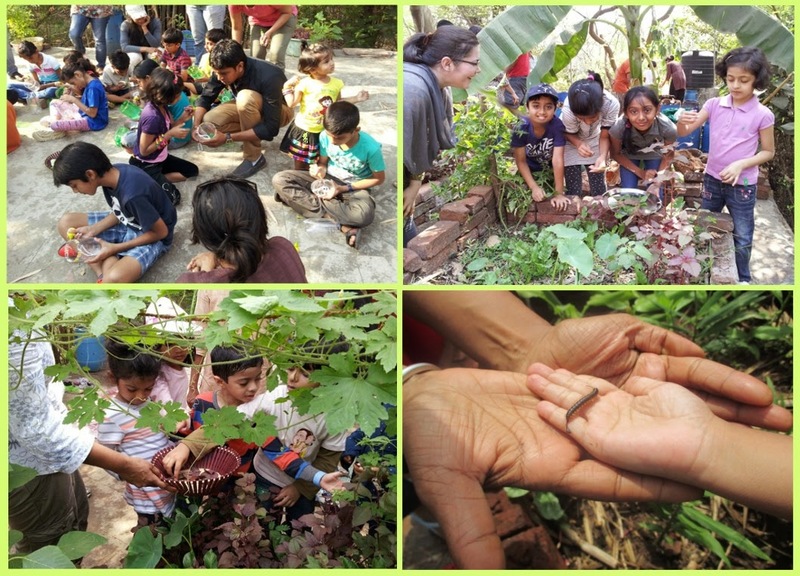 The workshop will be recorded on camera and images of participants may be used by Urban Leaves on our website and FB page to create awareness about city-farming for all ages.